Medicare benefits can be valuable — the average benefit per enrollee was $12,042 for Parts A, B, and D in 2011.2 Because there are a variety of coverage options, you may have to do some research to compare costs, make sure the services you need are covered, and find out whether you can keep your preferred health-care providers. Each fall there is an open-enrollment period during which beneficiaries can change their Medicare health or prescription drug coverage for the following year. For the 2013 plan year, open enrollment starts on October 15, 2012, and ends on December 7, 2012. If you change or join a new plan, the new coverage would begin on January 1, 2013. If you miss the deadline, you will have to wait until next year’s open-enrollment period to make changes. Medicare Part C plans (known as Medicare Advantage) are offered by private insurers that have been approved by Medicare. 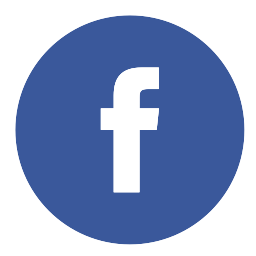 These plans provide the benefits and services covered under Original Medicare Part A (hospital coverage) and Part B (medical coverage) and may offer additional coverage such as vision, hearing, dental, and/or health and wellness programs. Many Part C plans include Medicare prescription drug coverage. Medicare pays a fixed amount to the plan provider, and the enrollee pays the equivalent of the Part B premium plus an additional premium and out-of-pocket costs, which vary by plan. 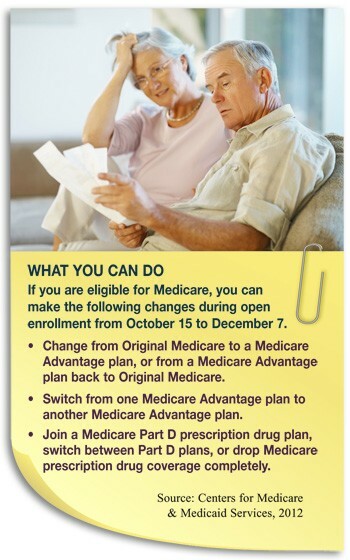 Medicare Part D prescription drug plans are offered to all enrollees at an additional premium. If you have a Medicare Advantage plan, you typically don’t need a separate Part D plan. For more information, see “Understanding Medicare Enrollment Periods” atwww.medicare.gov/Publications/Pubs/pdf/11219.pdf.